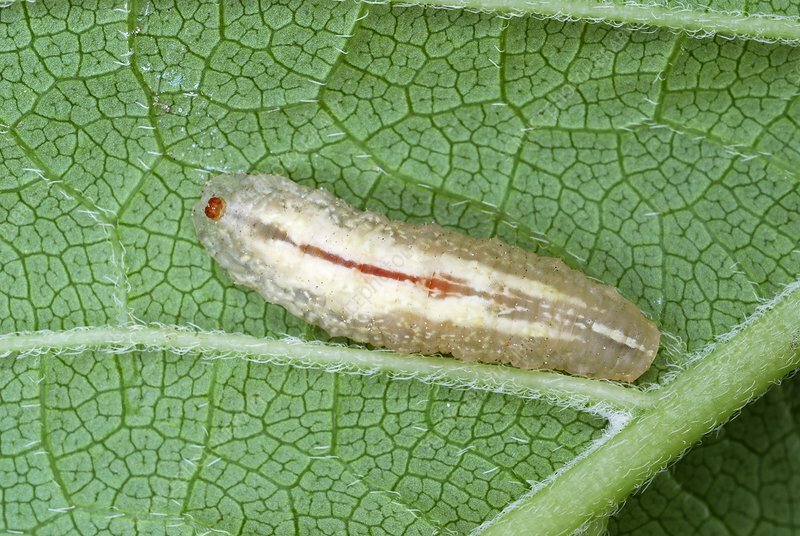 Hoverfly larva. Close-up of a larva of a hoverfly (Platycheirus sp.) on the underside of a leaf. Photographed in Poland.